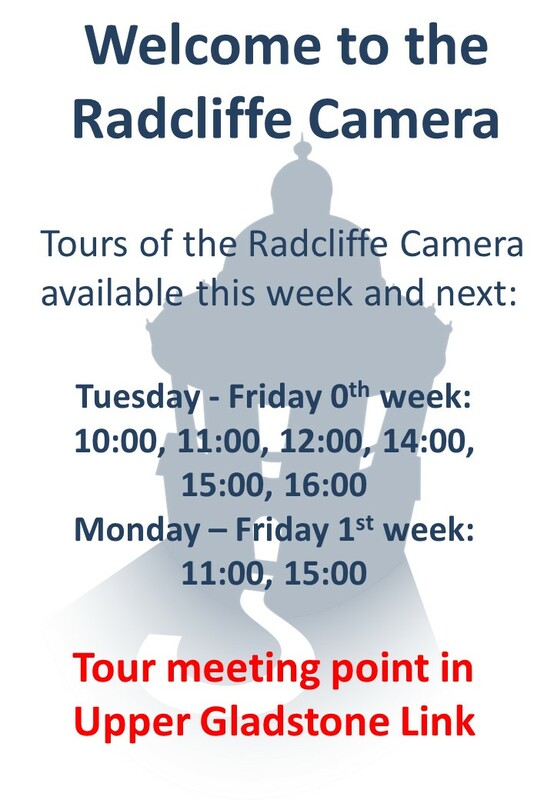 New students are encouraged to attend orientation tours of the Radcliffe Camera, which will take place regularly during 0th week and 1st week (see below for tour times). Staff will be ready to provide useful information on collections, the location of key facilities, and the services on offer. We look forward to seeing you! Please note, all reading rooms in the Bodleian Library and Radcliffe Camera (including the Gladstone Link) will be closed from Saturday 25 August to Monday 27 August inclusive. 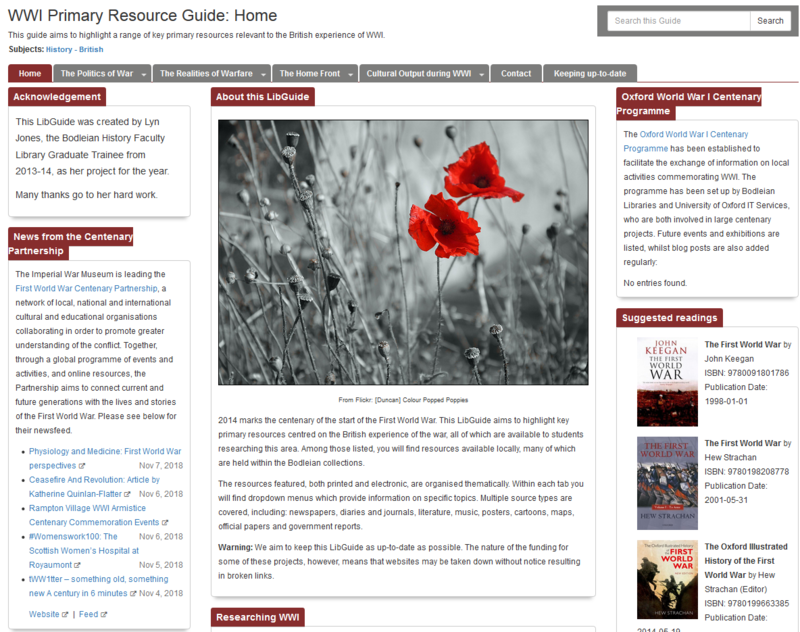 If you find you’re missing us (or our resources), why not access our collections remotely? Remember to use your SSO (Single Sign-On). 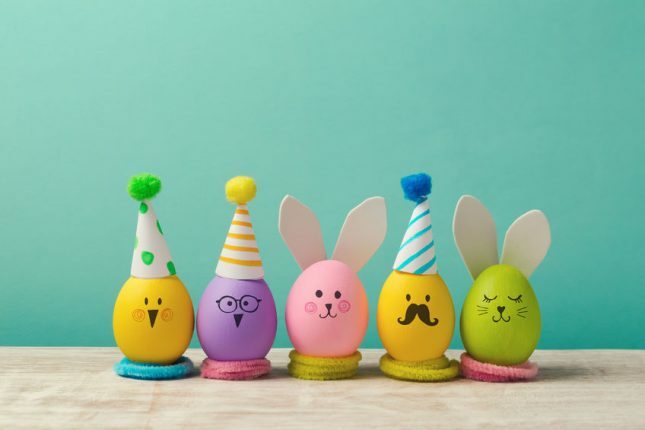 Wishing you a happy Bank Holiday weekend! Pavement improvement works in Radcliffe Square are now reaching their final phase, which will necessitate a temporary closure of the South Gate. This will be cordoned off between Monday 20th August and Monday 3rd September, to allow for the completion of essential work. During this period, readers will need to use the North Gate in order to access the Camera grounds and entrance. Please note, this also means that there will be no direct level access route to the Camera for approximately two weeks. Readers requiring this will need to use the ramped access route to the Old Bodleian Library, continuing via the tunnel/Gladstone Link and platform lift. 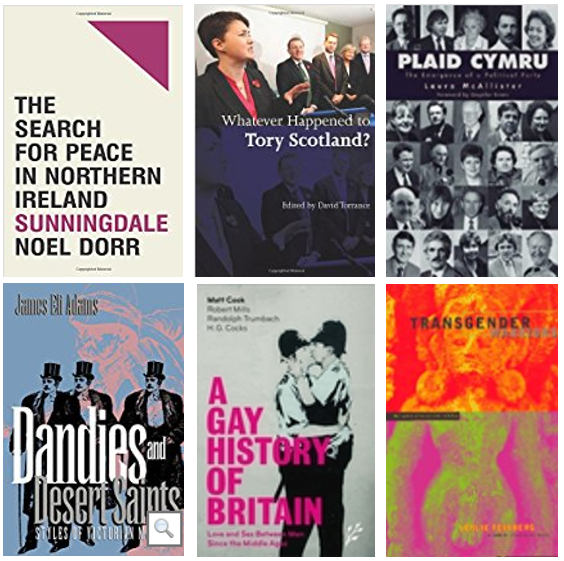 For those of you about to undertake the History of the British Isles assessment, don’t panic! Library staff are ready and willing to help with any queries. 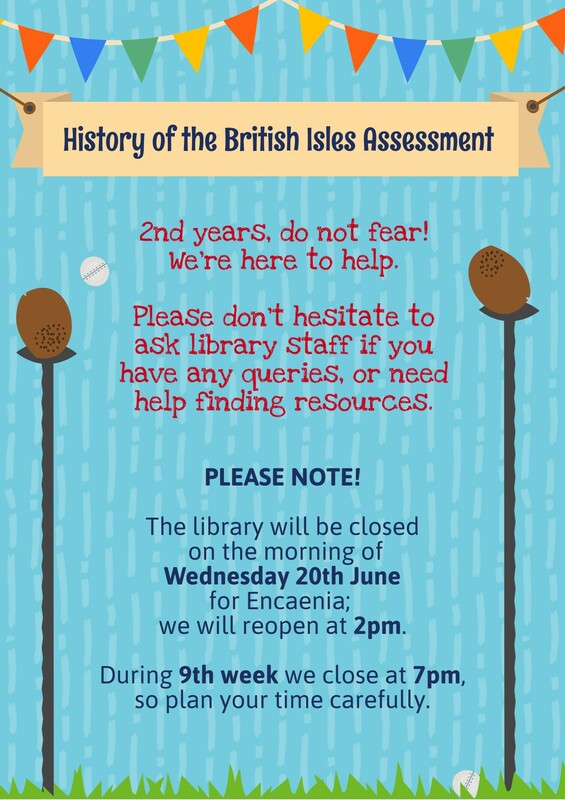 Please remember, the library will be closed on the morning of Wednesday 20th June. 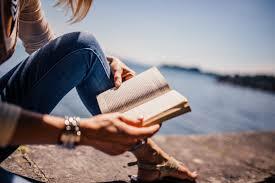 In addition, during 9th week we will be running to vacation hours – this means that the library will be closing at 7pm. Plan your time carefully! 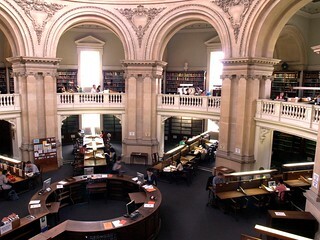 Do contact us at library.history@bodleian.ox.ac.uk with any further questions. 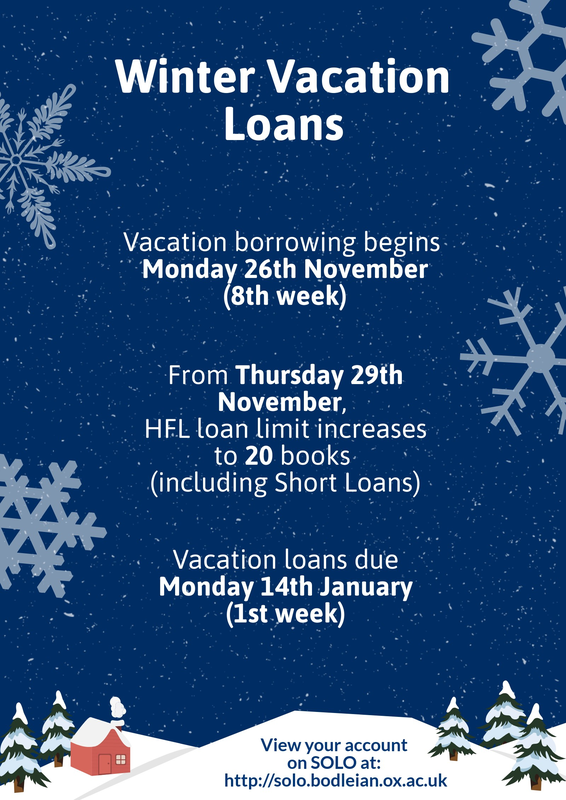 Please note, due to the introduction of a new History of the British Isles assessment for 2nd year History undergraduates vacation loans will commence on Wednesday 20th June. This is 9th week. 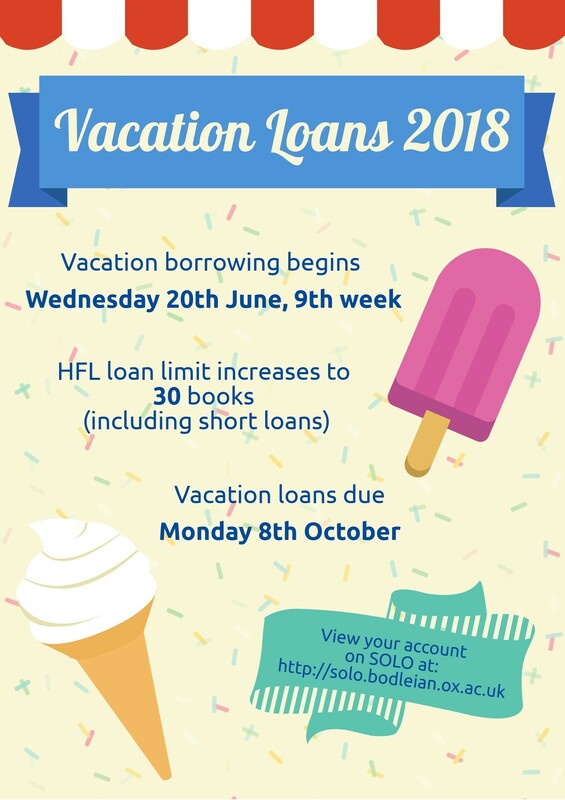 Please also be aware that from Thursday 14th June onwards (8th week) all standard loans will have a due date of Thursday 21st June. Thank you!